CATHOLIC GIFT SHOP LTD - Lourdes Scarf Dusky Pink. 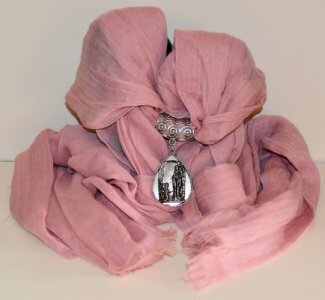 Lourdes dusky pink scarf with an apparition metal medal. The length of the scarf is 172 cm 68 inches long.